You are currently browsing the tag archive for the ‘Gary Wilson’ tag. Gary Wilson’s music might be a gradually acquired taste for some, but in my personal experience people either get Gary or they don’t. I’ve been a huge fan for years thanks to my friend Marcello McDonnell (Steel Tips, Spy Gods, Vinyl Dogs) and I have had the opportunity to turn many people on to Gary Wilson’s work. Some love it and never look back. Others just look completely puzzled or slightly freaked out. Personally, if I ever were to leave for that fabled desert island, Gary Wilson’s cult classic You Think You Really Know Me would be a must on the playlist. 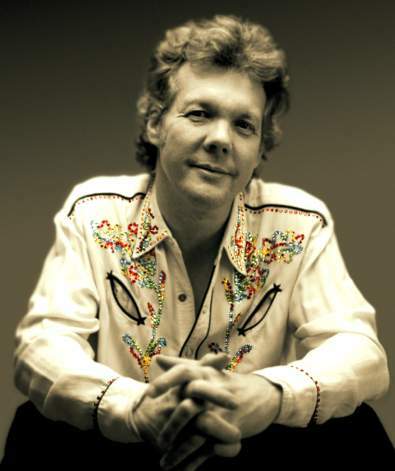 For many years, it seemed unlikely that I’d ever have the chance to see his live performance, so I was amazed when he began performing again in 2002. Now I check out the live show whenever possible, and am excited to go to see Gary Wilson with his band, The Blind Dates on April 20th at Glasslands Gallery in Brooklyn. There is much to the Gary Wilson back story, but I’ll take a tip from Five Minutes 3 Seconds and will not reiterate here. You can read my account of the story along with insights from the man himself in this 2003 piece for WeirdoMusic.com. I will say that I’ve described various aspects of Gary with the terms “outsider rock groove,” “obsessive teenager in love,” “punk-influenced,” “maniacal repetition,” and “Steely Dan with a Love Unlimited Orchestra attitude.” All those still hold, and don’t even begin to cover it. 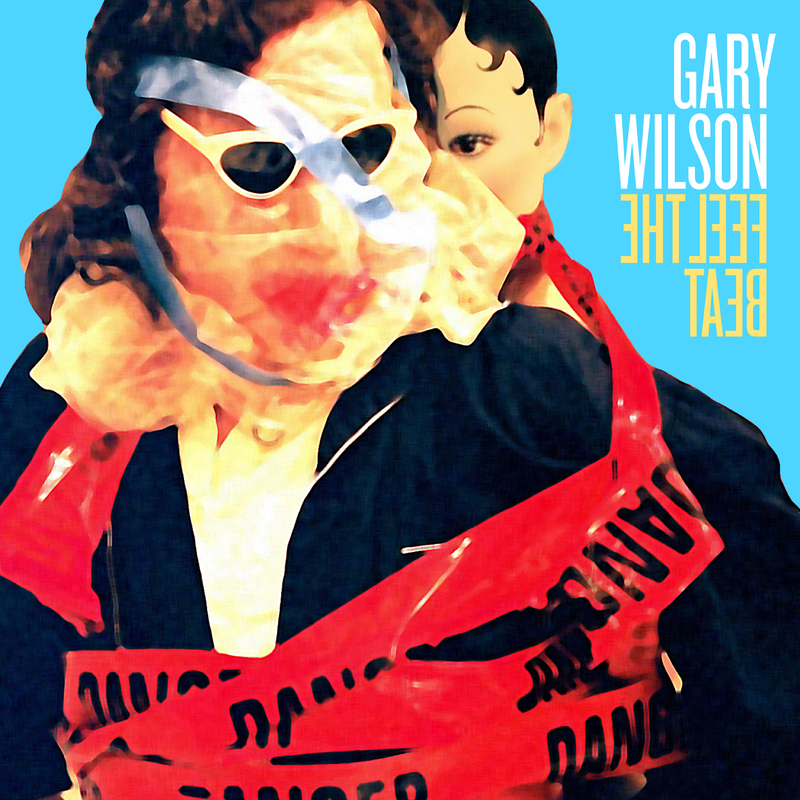 Gary Wilson exemplifies The Dream Between concept in many ways- his sounds and “out there” stage performance float free within their own lexicon, existing in no single musical or psychological universe. All this points toward just the kind of mind I can’t help but explore. Big thanks to Gary for taking the time to respond to these questions with honesty, oddity, and ultimately with optimism. Robin Renée: According to my understanding, you tend to play and record all the time. How does your process change when you are getting ready to release a new recording? What was happening as you wrote and prepared for Feel The Beat? Gary Wilson: Nothing has changed since I was 13 years old. I get inspired and I walk into the room where my recording equipment is and start recording. It can happen anytime. I might come home from playing piano in some country club, turn a horror movie on the TV, throw a cheese pizza in the oven and wait for the inspiration to hit me. Then it begins. For me, coming up with an album’s worth of material is a long process. I do a lot of self-editing. I toss out a lot of tracks that I spend a lot of time on. That can be depressing. You think you might have a song, then after working for weeks on it you throw it away. That’s showbiz. RR: Even though your process seems to hold steady, will your audience be hearing new sounds and shifts since Electric Endicott in 2010? GW: First of all, Feel The Beat was recorded on my new recording equipment (Tascam 2488neo). It’s always exciting for me to get familiar with the capabilities of new recording equipment. It’s sort of like a new toy. I started with a Wollensak mono tape recorder when I was 12 years old. Always had an interest in recording. Also the dynamics of life, from day to day, bring a new adventure into my world. This becomes part of my music. Each album is like giving birth to a baby. There’s excitement in the beginning, then it’s released and a sort of gloom comes over me. That’s when you go back into the recording room and start a brand new project. RR: The people and places of your youth in Endicott, NY still persist and are the backbone of your work. Linda, Cindy, Debbie, Bermond Avenue, Northside Park– What continues to draw you into these stories? GW: I guess it brings me back to a happier, less stressful time in my life, though growing up is no easy feat. When I perform now, I try to recreate the way I felt when I began playing professionally at 12 years old. Music was fun, exciting and innocent. Our parents would take us to the gigs. That is why sometimes I will bring a large cardboard box on stage with my home address painted on the front of the box. I can sit in the cardboard box and recreate, in my mind, the way I felt when I was a young teenager on stage – the way I felt when Linda, Karen and Lugene would come see my band (Lord Fuzz, Dr. Zork and The Warts, Gary Wilson and the Blind Dates) at the local teen centers. When I come out of the box I feel refreshed. RR: Do you recall a defining moment or incident that solidified these memories as your palette? GW: I recently was talking to my older brother and he mentioned that I was hit in the temple with a baseball bat when I was 10 or 11 years old. We both thought that perhaps that event, getting hit in the head with a baseball bat, was what determined my perspective on art and music. GW: Lugene was my first girlfriend, before Linda. The first girl I really kissed. I have fond memories of summer days at my friend’s house in Endwell, NY. His parents worked in the day time so we had the whole day to hang out at his house. Lugene and Cheryl would bus it down from Johnson City, NY to Endicott, then make their way to my friends house in Endwell. Yes, Lugene kissed me that night. RR: I have an artistic love of mannequins and wig display heads. At least in part, I think I have you to thank for this influence. The mannequin aesthetic has carried throughout your artwork and live shows. All kinds of theories could arise on what they indicate – beauty, uniformity, sexism, objectification, idealization… What’s the mannequin thing about for you? GW: There is something modern, surreal about mannequins. I’ve been fascinated with mannequins ever since watching the black and white Twilight Zone episode “The After Hours” when I was 8 or 9 years old. The story featured Anne Francis. That’s the episode where the department store mannequins come to life for a short time. For me, the mannequins represent the girls in my life –frozen for eternity in the form of a mannequin, as if our love will never die. I remember my first “comeback” gig at Joe’s Pub in NYC in 2002. The record label rented 3 or 4 mannequins for the night. By the end of the performance, the mannequins were damaged. It cost the label something like $650 per mannequin. The label decided to put the damaged mannequins in their NY apartment as works of art. RR: I once had a cassette of yours called You Made Me Feel My Misery. As I recall, a few of those tracks, like “Gary Saw Linda Last Night (Kissing Frank Roma)” reemerged on later albums. I always loved the title song. Whatever became of it? What factors help you decide which tunes make the cut? GW: I re-recorded “You Made Me Feel My Misery” recently. I was going to include it on my album Feel The Beat but decided against it. When I self-released the original Mary Had Brown Hair back in 2003 before Stones Throw Records released it, “You Made Me Feel My Misery” was included on that release. When Stones Throw re-released Mary in 2004, (hip-hop producer and Stones Throw Records founder) Peanut Butter Wolf eliminated three cuts including “You Made Me Feel My Misery” from the original version. The song will appear on my next album. RR: What do your noise pieces and avant garde jazz interludes (“Why Did You Kiss Me?,” “Stephanie Was Crying in the Rain”) say that aren’t said in your songs constructed in a more traditional pop fashion? GW: I’ve been involved in the avant garde since I was 12 years old – recording my own electronic music, composing avant garde classical music, modern plays, painting, etc. The weirder the better, when I was growing up. This is what led me to John Cage inviting me to his house in Haverstraw, NY when I was 14. I always try to combine both elements on my records and performances. I also love the music of Debussy, Ravel, and Ralph Vaughan Williams. RR: Yes, I always hear that combo of distinctly avant garde and smooth, upbeat pop in your music. I am wondering: does each style help you convey or express a different set of emotions or experiences? GW: Yes, the avant garde and smooth pop convey different emotions, though they can collide. This occurs in many of my songs such as “Chrome Lover,” “Sea Cruise,” “6.4=Make Out,” “Gary Saw Linda Last Night,” “Linda Wants To Be Alone” and others. When we do these songs on stage, you never know what can happen. I always wanted to do a 30 minute version of “6.4=Make Out” with my band and I performing with a large classical chamber group complete with a large string section. RR: What was your visit like with John Cage? What an honor at 14. GW: It was an honor to spend three days with composer John Cage at his house. I was 14 or 15 years old. I was playing cello and string bass with our school chamber orchestra and string quartet. I was composing experimental music and our school chamber group would occasionally perform my classical compositions at school events. This led me to contacting John Cage by phone. Mr. Cage gave me an address where to send him some samples of my music. A few weeks later John Cage invited me to his house in Haverstraw, NY, not far from NYC. My mother drove me to Haverstraw from Endicott, NY. On our first visit, my mother became lost in the wooded area not far from John Cage’s house. We stopped at the local general store and I called and told him we were lost. (He) drove down to the general store and picked me up and drove me to his house. Here I am at 15 years old being driven to John Cage’s house by John Cage himself. My mother drove me to Haverstraw for three days. Each day John Cage went over my musical scores, corrected things, and suggested things. I still have some of the scores where he went over my original notation and put in what he thought the orchestra would be better at interpreting. It still amazes me that he took the time to meet with me, a young teenager. College grad students would give anything to meet one-on-one with John Cage and have him correct and advise on their compositions. One of the highlights in my life. Many years later, I had a chance to meet with John Cage again at the University of California, San Diego where he was a composer in residence. Bernadette Allen was a grad student at UCSD at that time. I handed John Cage a copy of You Think You Really Know Me and asked if he remembered me. He said he did. Truly an inspiration to me. RR: You had a very long artistic and personal relationship with Bernadette Allen. I heard about her passing – I’m so sorry, Gary. If you are willing, will you please say something about your years with her? Where was your connection and what was her influence on your life and work? GW: Bernadette Allen passed away in 2011. My heart is broken. We were together for 32 years. I miss her dearly. Bernadette performed with me often and we did many videos together. Bernadette even attended (though didn’t perform) our last CBGB’s gig back in 1979. Stones Throw Records has been converting all her 3/4″ videos to DVD for a future DVD release. RR: How wonderful to have such a partnership for so long. What qualities made her such a special person in your life? GW: The great thing about Bernadette was she let me be myself. I felt comfortable with Bernadette. She was very intelligent and artistic and put up with me for 32 years. RR: Thank you for being willing to share that, Gary. Is there an essential story you ultimately wish to tell? One’s roots are never forgotten? Something about life as a romantic quest? The surreal nature of consciousness? Love is pain? Is it really all much simpler? GW: Life has its ups and downs. We all try to get through life the best we can. Try to follow your passion. Try not to hurt people and animals. I know sometimes following your passion can be difficult if you have family and many responsibilities. One has to sometimes put your dreams aside to take care of your family and your responsibilities. That’s sad. But still, you still can do what you love part-time. My father worked for IBM for about 40 years. He still played music at the local hotel lounge four nights a week. He didn’t give up music even though he had a wife and four children and work 5 to 6 days a week. In other words, don’t let life bring you down to the point where you lose your dreams. I’ve been fortunate in the last ten years to be able to do what I really enjoy and will continue as long as I can. RR: Is there anything else you’d like to share today from the heart-mind-soul of Gary Wilson? GW: Please don’t sport fish and hunt. The poor fish and animals have it hard enough already without humans killing and hurting them for sport. How can someone laugh and smile while they hold up a gasping fish on a hook. Poor fish is dying. What’s so funny about that? Or chasing some animal through the woods for the sole purpose of killing the animal. Don’t the hunters see the fear in the animal’s eyes right before they blast away at the poor thing? It’s one thing, and that’s even sad, when one has to hunt and fish for survival, but not for blood sport. RR: It’s good to hear you speak out for non-violence. I am also so glad that your re-rediscovery has led to your being able to do what you enjoy. Fans who never imagined new recordings and live shows are pretty happy, too. So, I can see how the songs themselves convey the “follow your passion” message, particularly if your passion is pursuing Linda, Kathy, or Karen. Is there anything else you hope the songs themselves convey directly to the listener? GW: Yes, I appreciate all that has happened to me. When people listen to my music and come to my shows, I do get different reactions, which is good. I hope I convey to the audience what I learned from John Cage. Walk one’s own path. Be yourself. Have fun with your art, and your life. Don’t worry what other people think. Ask yourself what would you like to see and hear. Then do it. It takes time to get one’s personality imbedded into one’s art but if you keep working at it, you never know where it can lead.